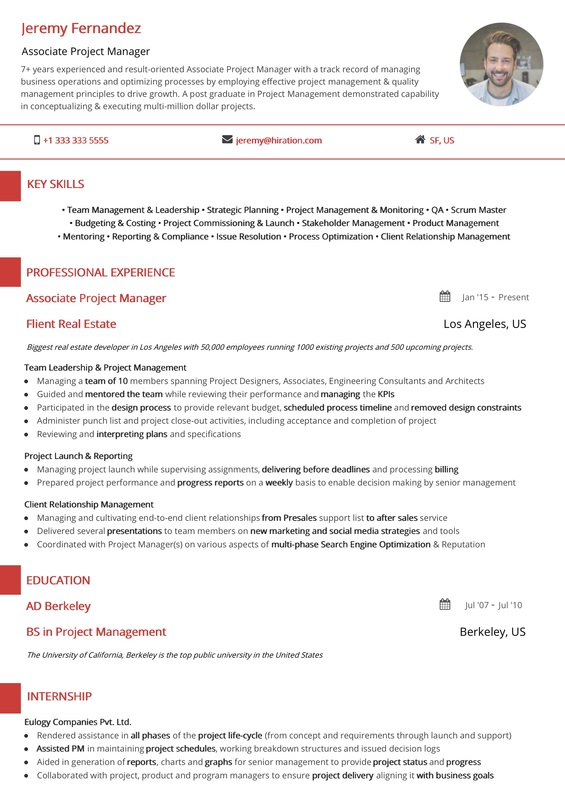 Premium: The Global Citizen Red Resume Template is a premium template on Hiration's Resume Builder. 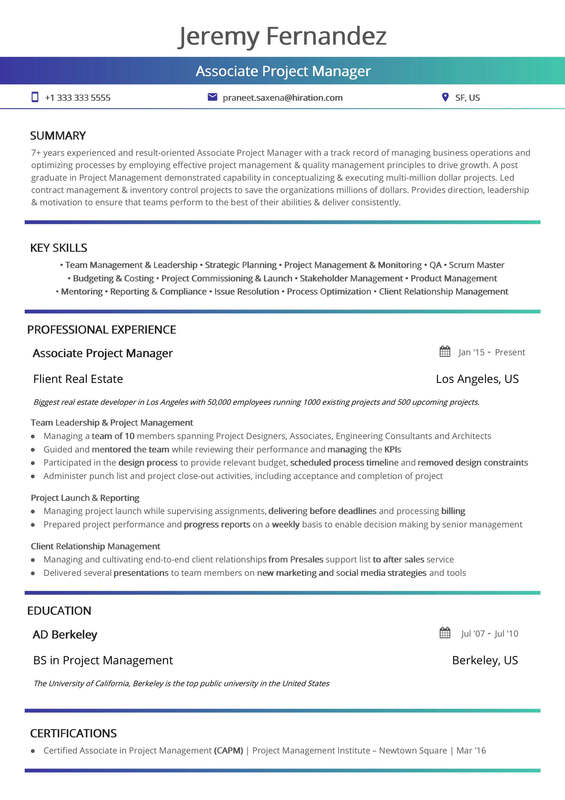 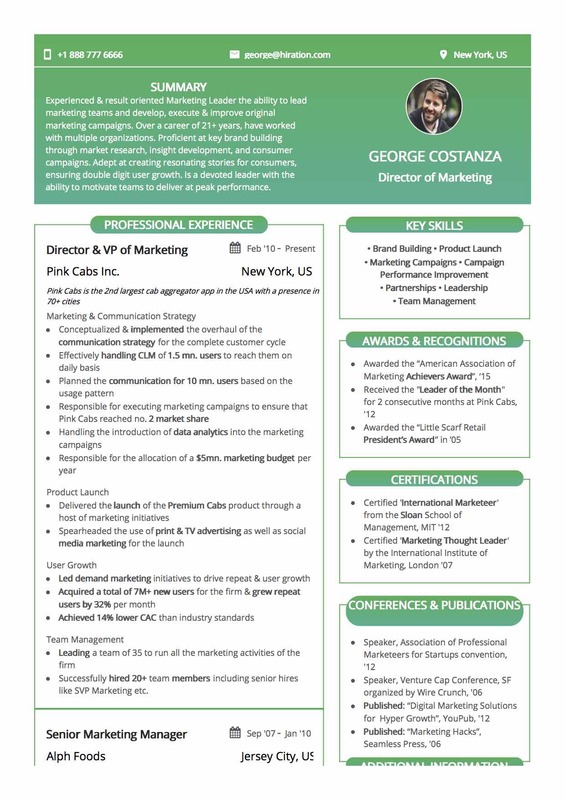 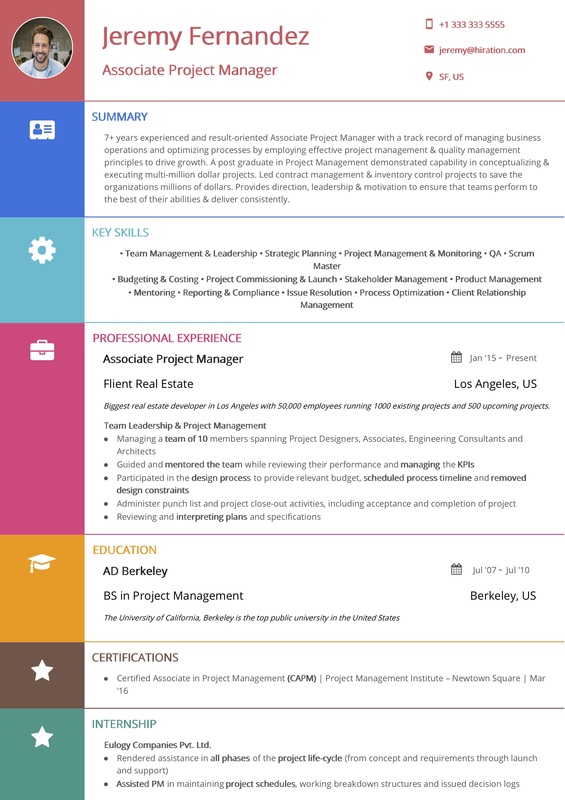 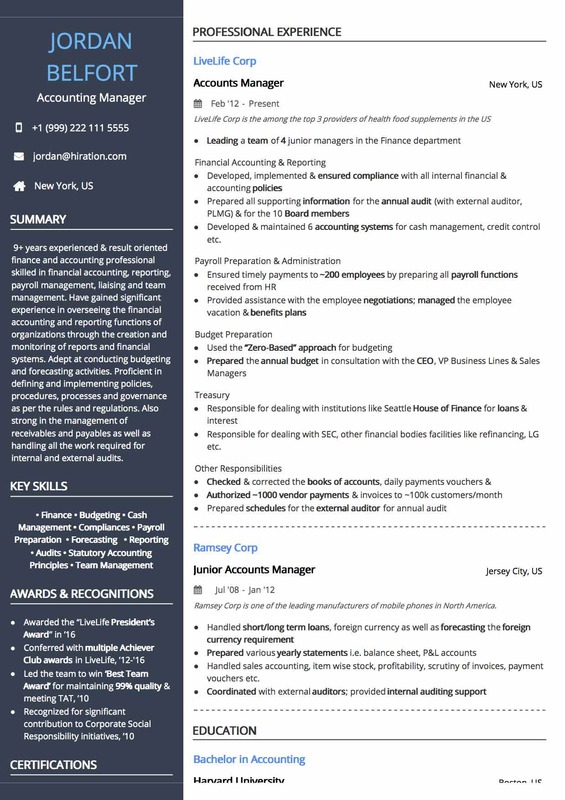 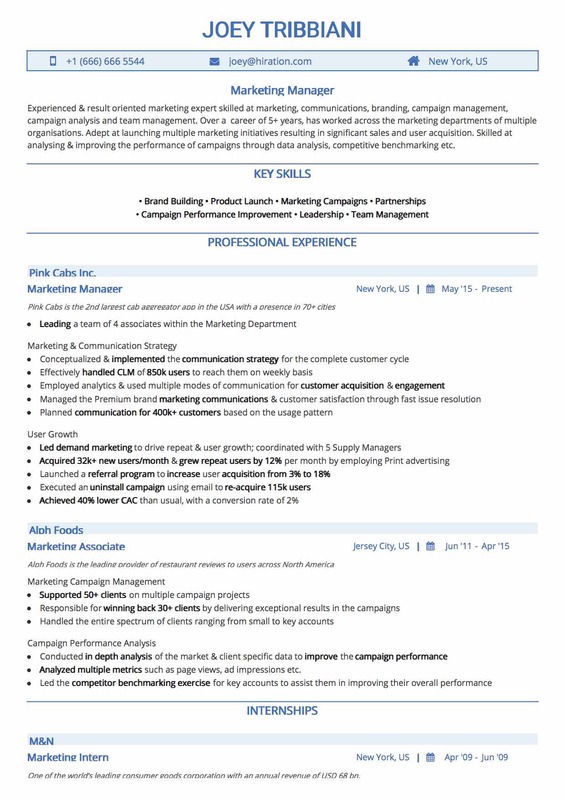 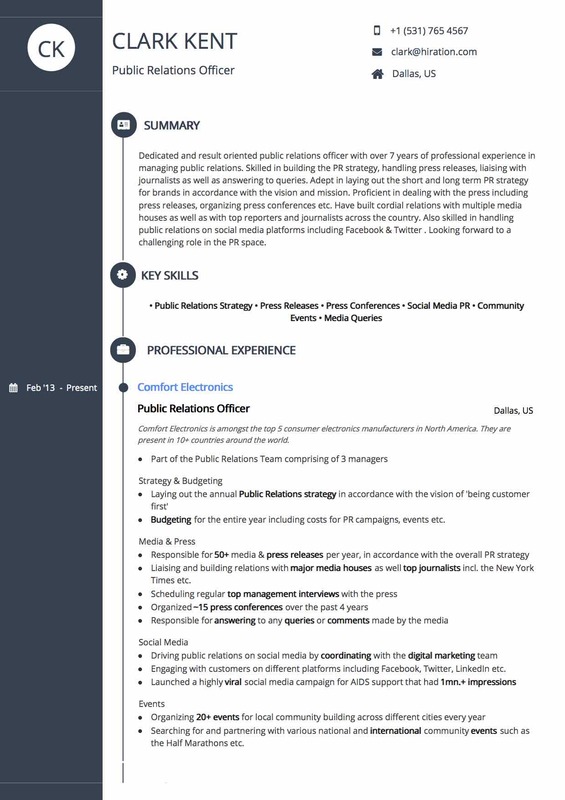 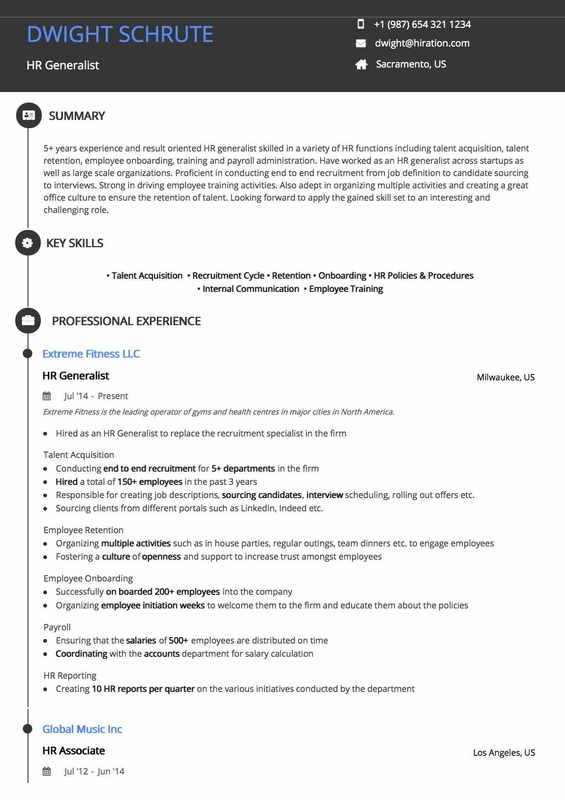 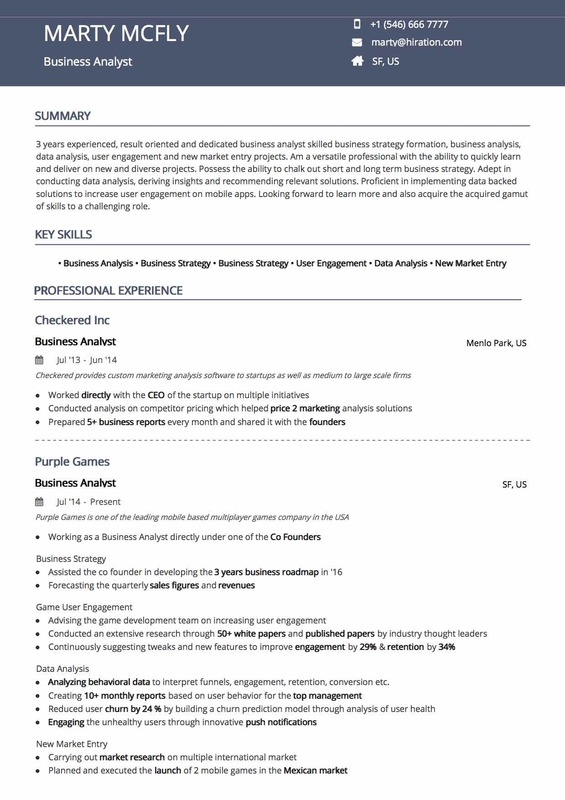 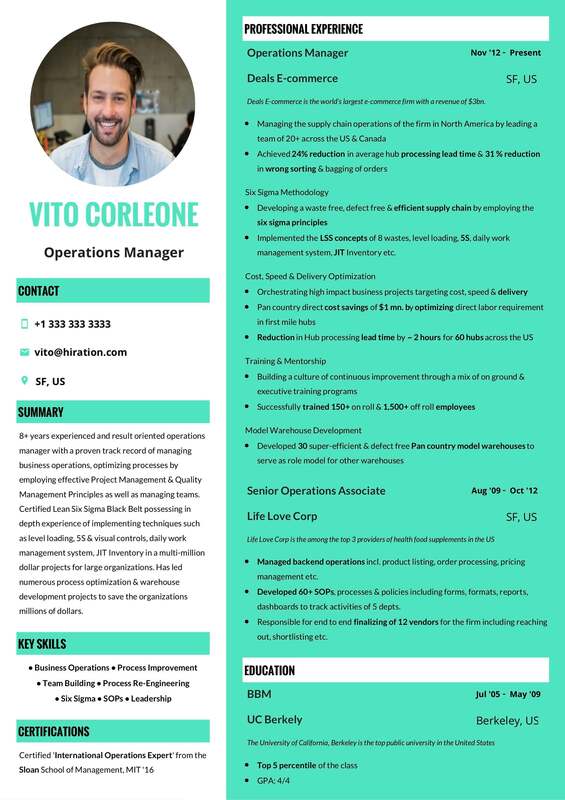 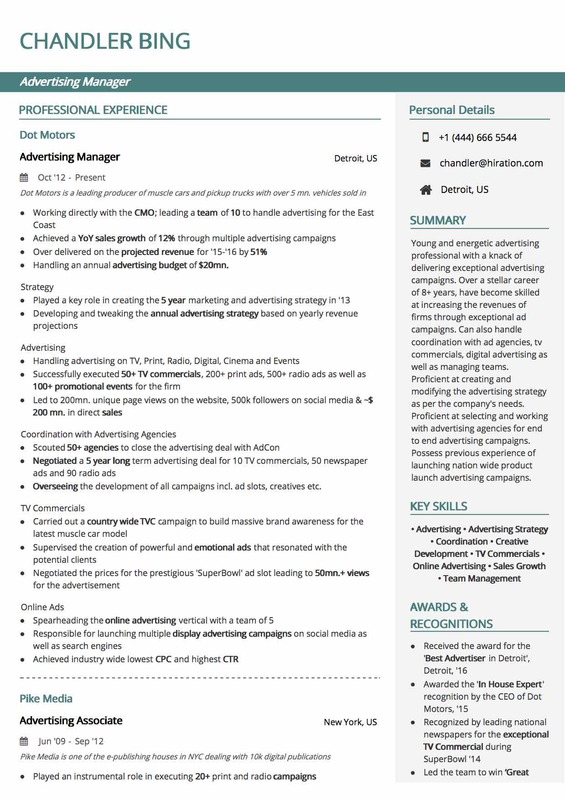 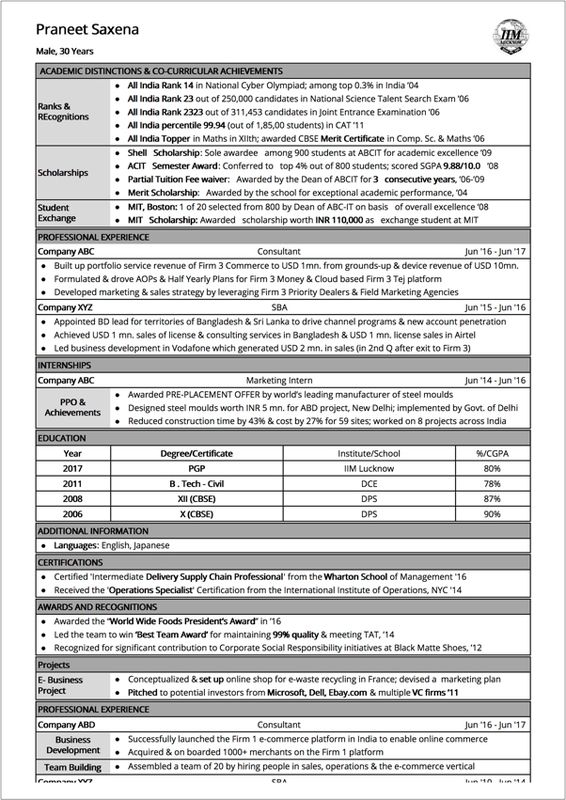 Structure: This resume template has a resume wide header with name, job title and contact details. 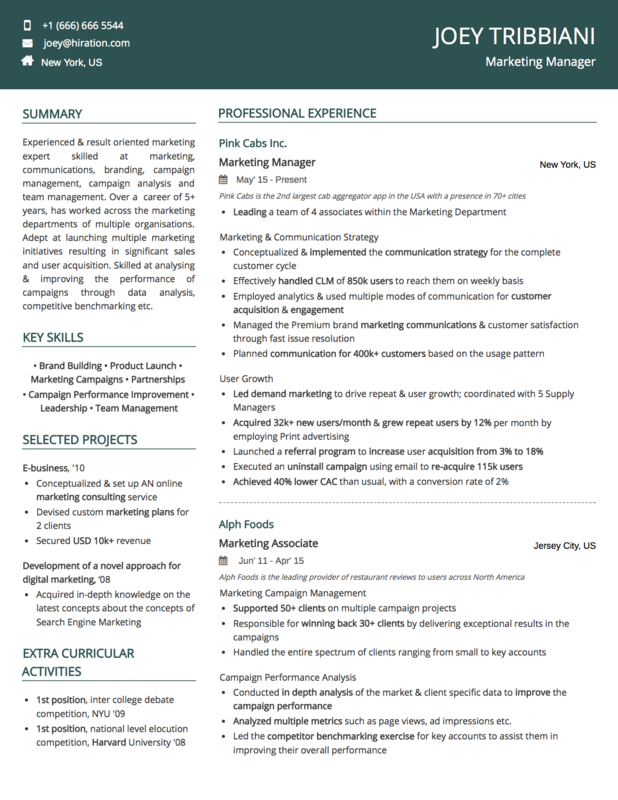 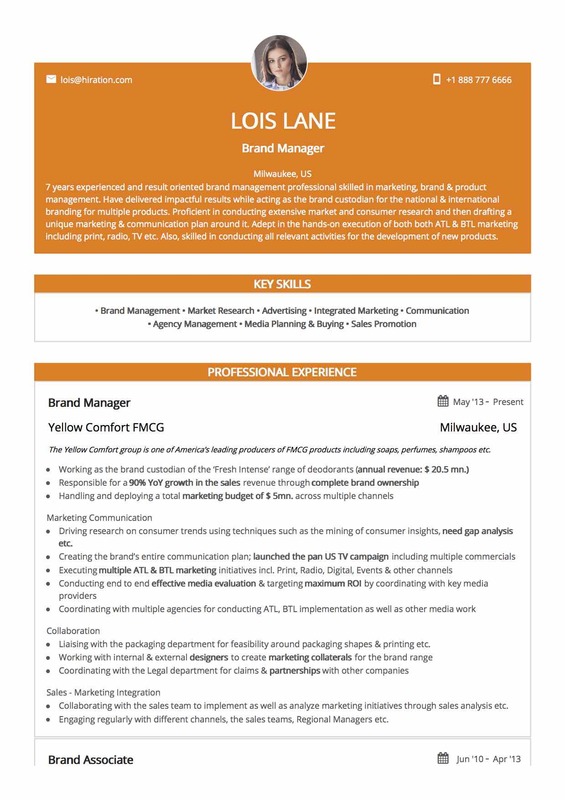 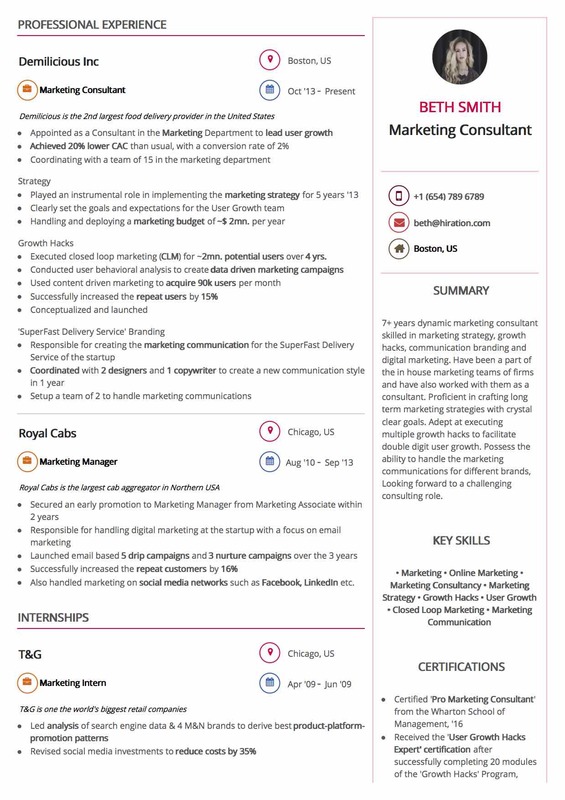 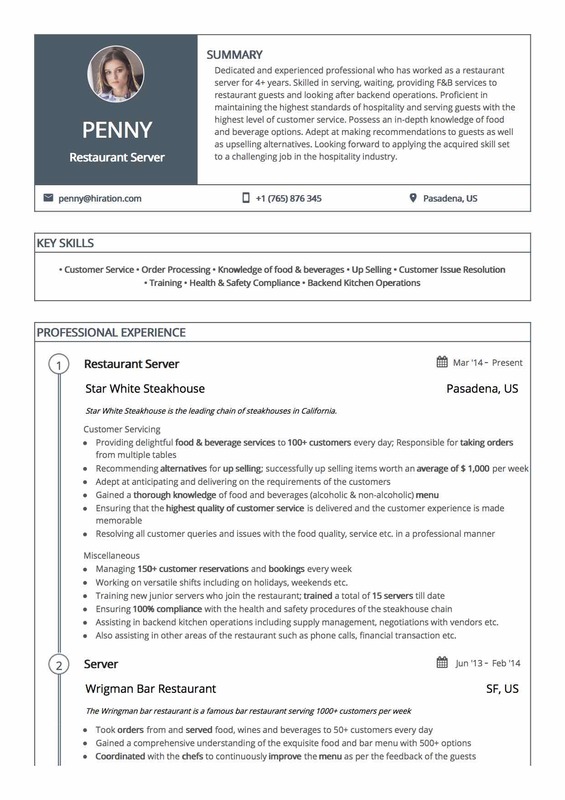 The body of the resume is double column witht the left column occupying one third of the width. 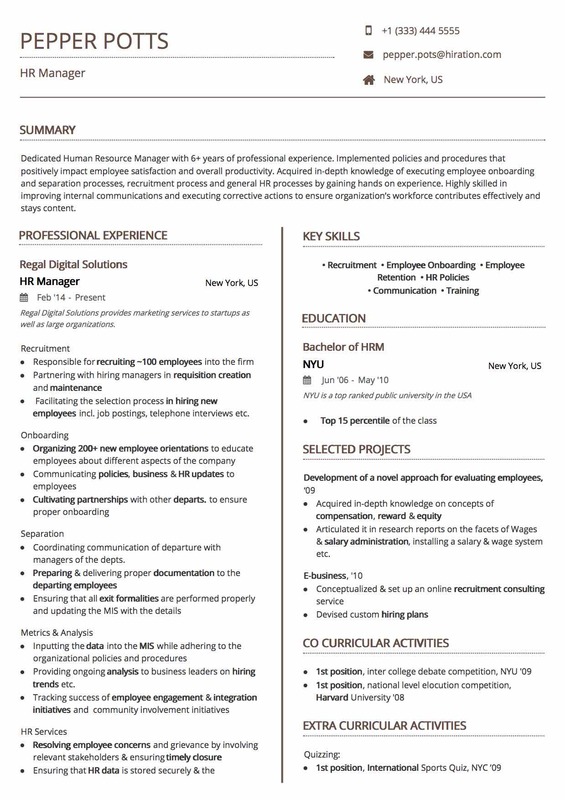 This will enable you to highligh multiple aspects of your resume in addition to your professional experience. 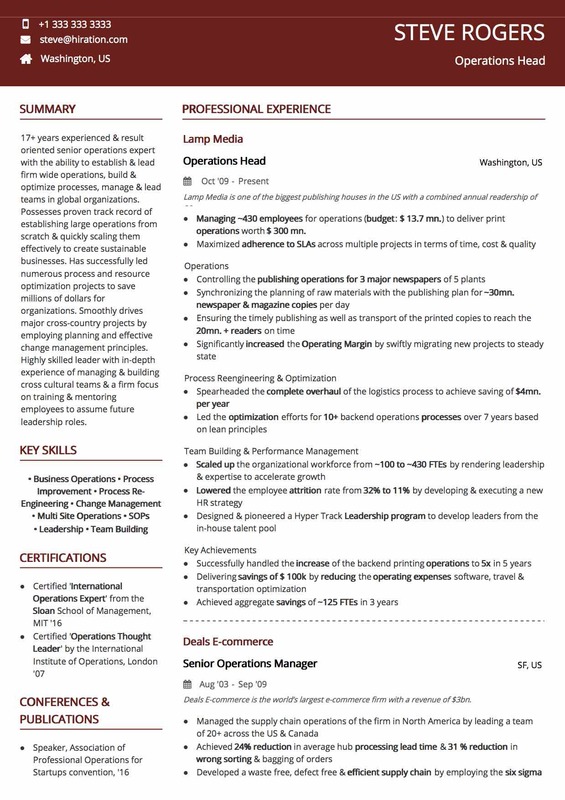 The good thing is that it will be visible to the recruiter all at once. 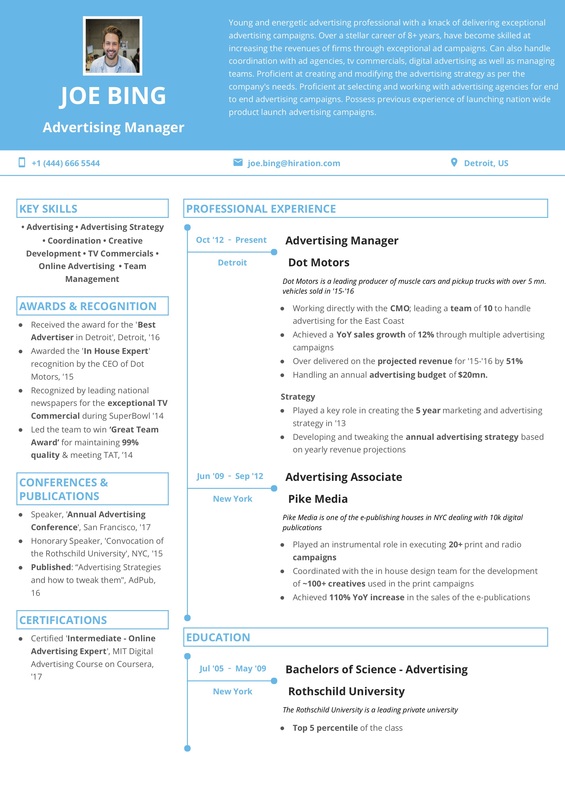 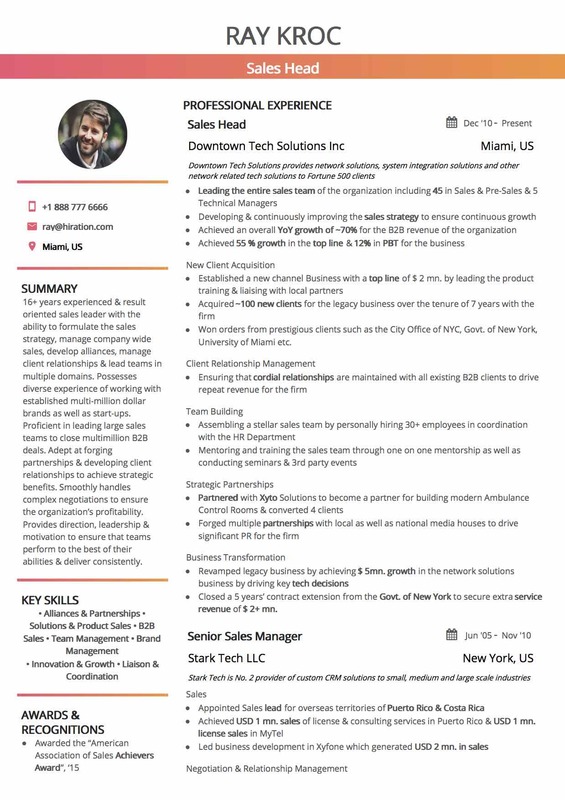 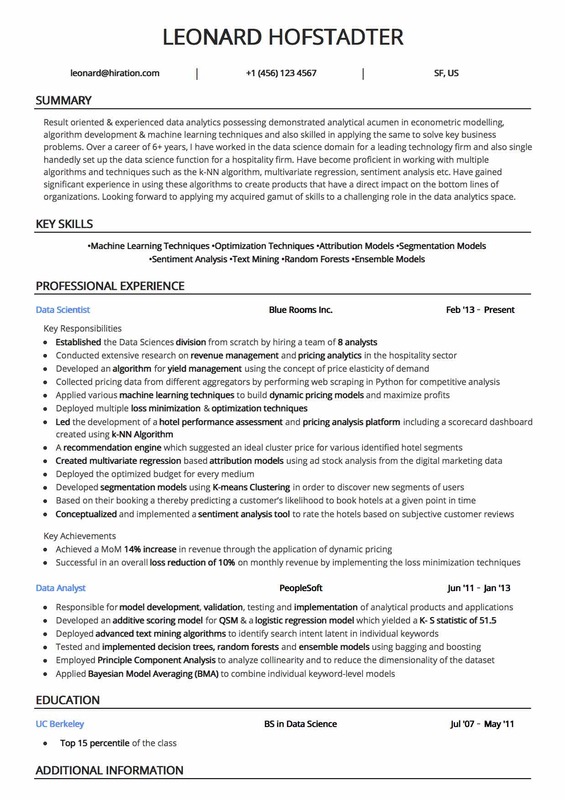 You can use this template if you have a lot of key things to show on your resume, in every domain. 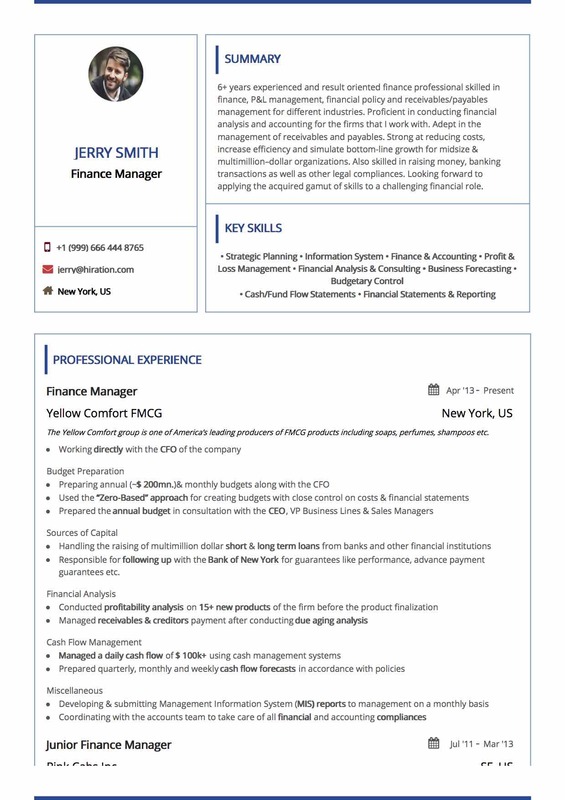 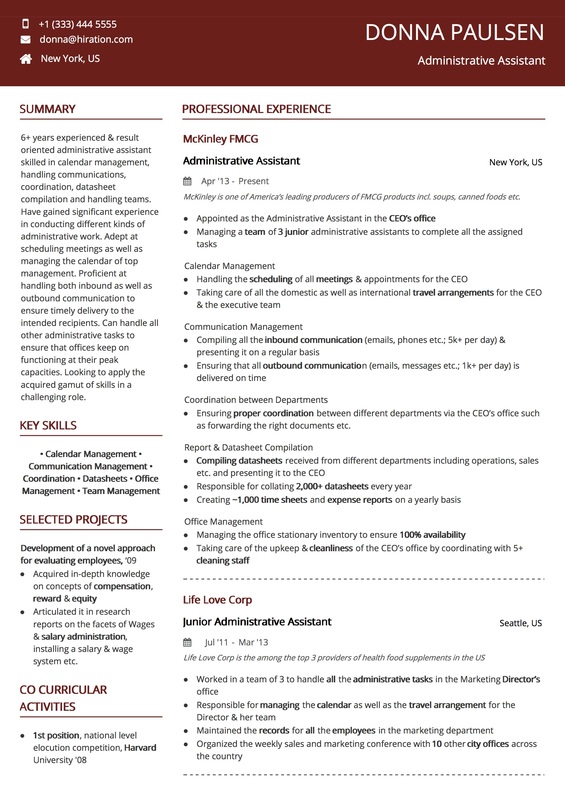 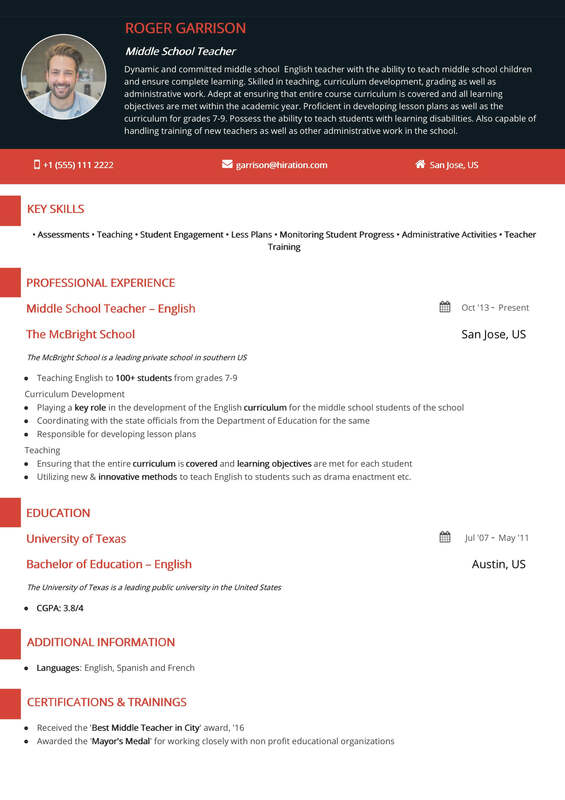 Design: The resume template uses red as the primary color which is also the background for the header. 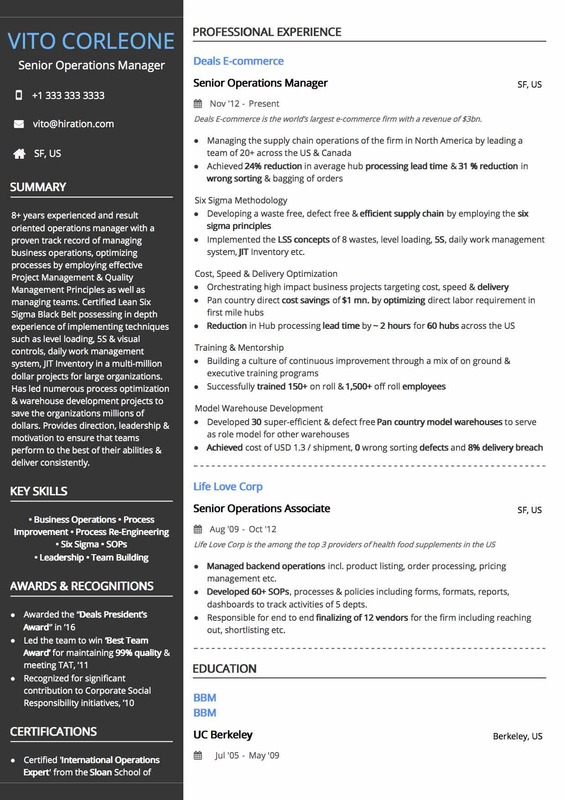 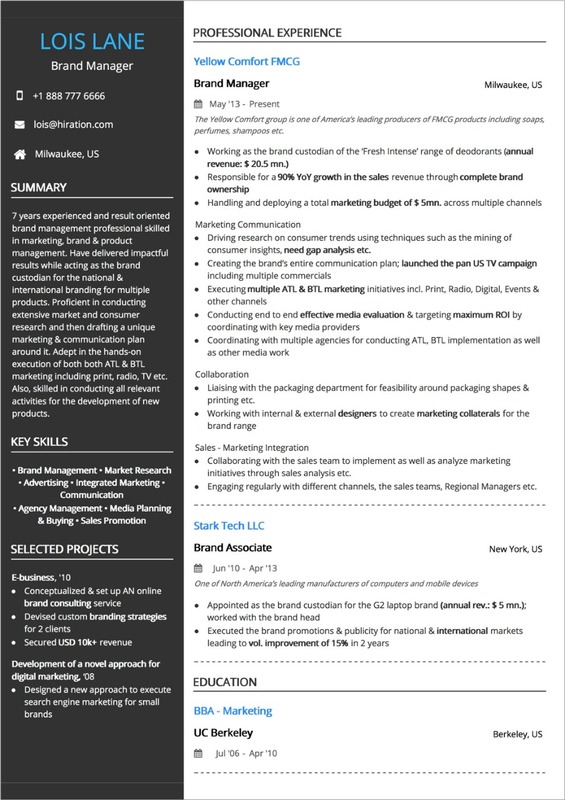 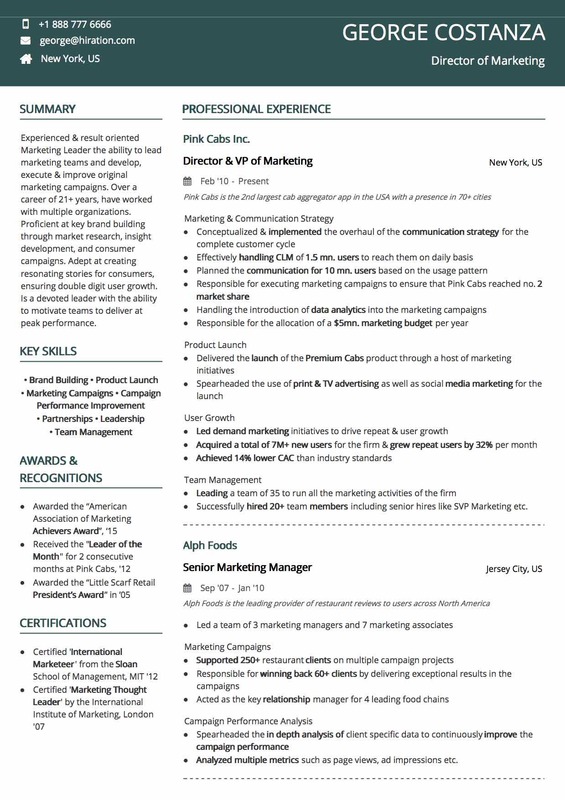 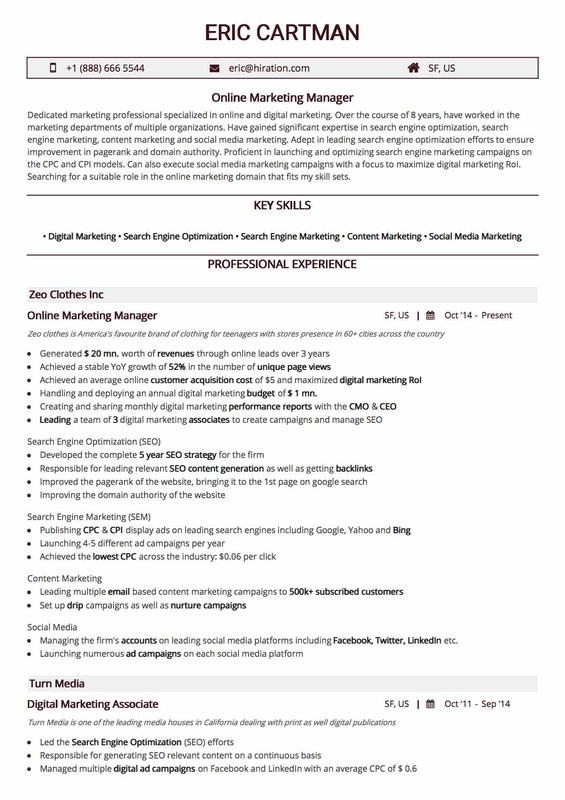 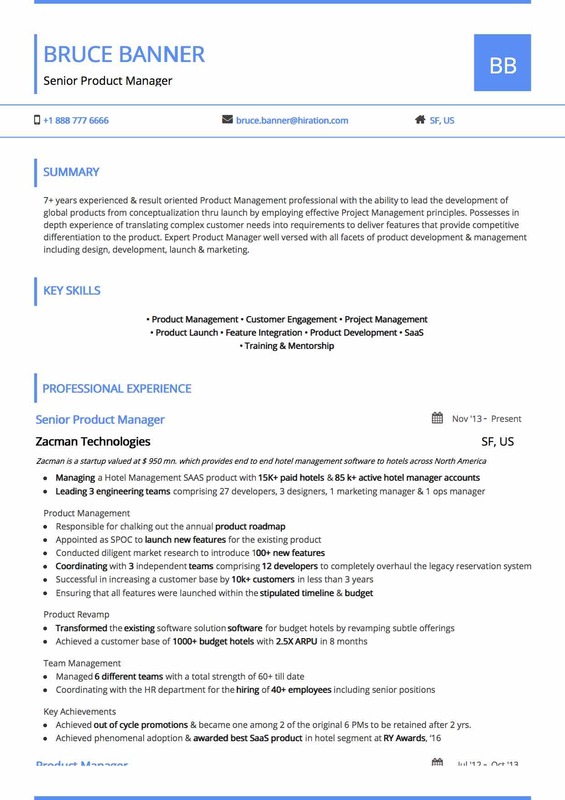 The resume body on the other hand uses redt to highlight the headings along with sub-headings. 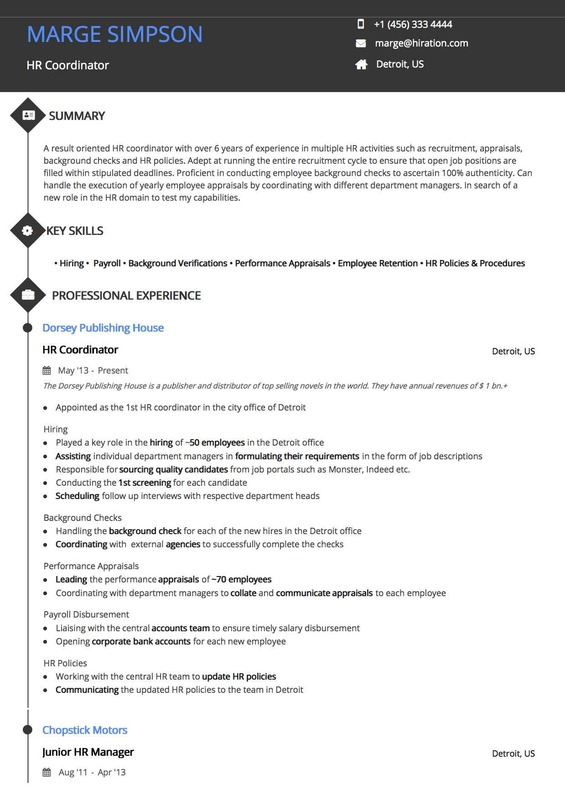 The headings everywhere have been underlined to make section beginnings prominent to the reader. 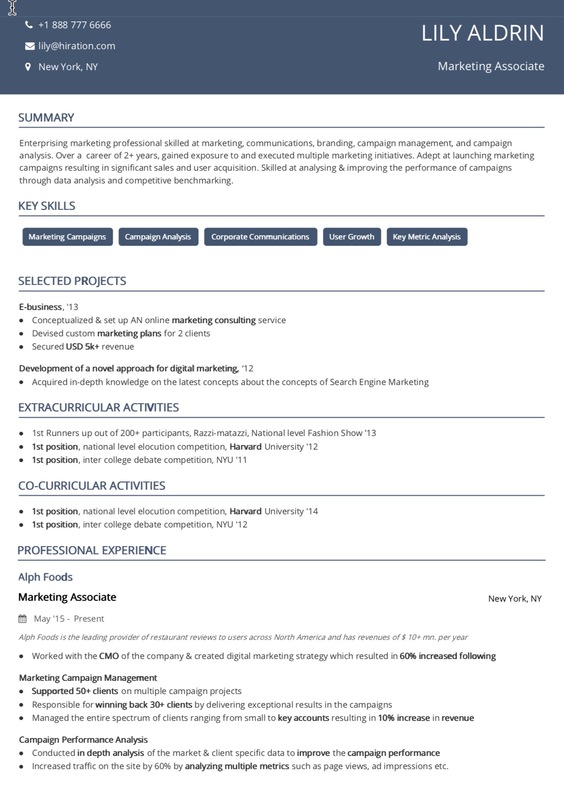 Typography: Open Sans along with a high line spacing has been employed to make the text easy to read.